We can build or install any type of electrical system required. We are committed to giving you the most reliable electrical system for your needs. 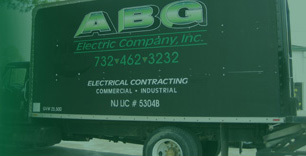 We are fully licensed by the state of New Jersey, assuring you that your electrical project will be installed to exacting industry and code standards. We're committed to retaining our clients by providing outstanding service and quality work. Learn more about us by clicking here. We look forward to helping you. Click here to learn how to get in touch with us today!